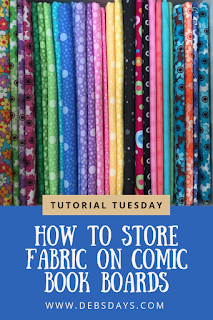 It's Tutorial Tuesday and today we're talking about comic book boards. And fabric. I used to read some comic books when I was a kid (mostly Richy Rich - boy, what I would have given to live that life! ), but had no idea what a comic book board was. Now I know it's a piece of thick cardstock-like acid free paper that collectors use to help maintain the shape of the comic book. Like these here on Amazon. Every single yard of my fabrics is wrapped on the boards. 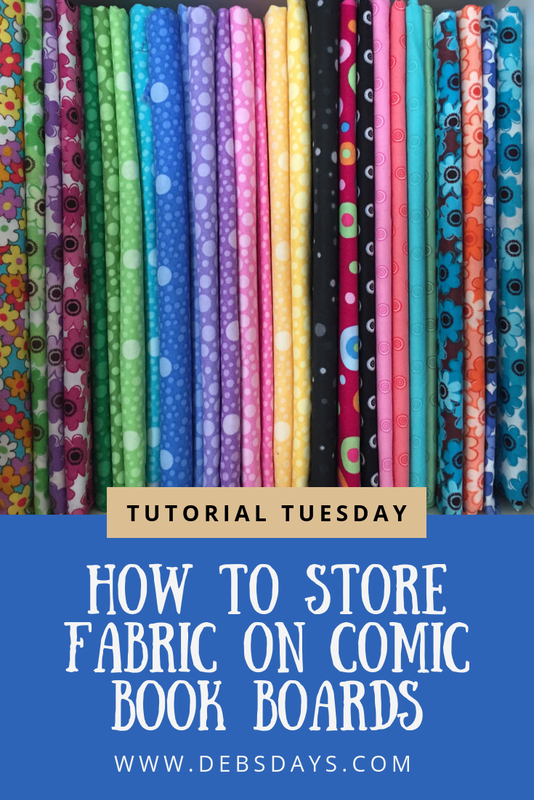 I wouldn't keep my fabrics organized any other way.